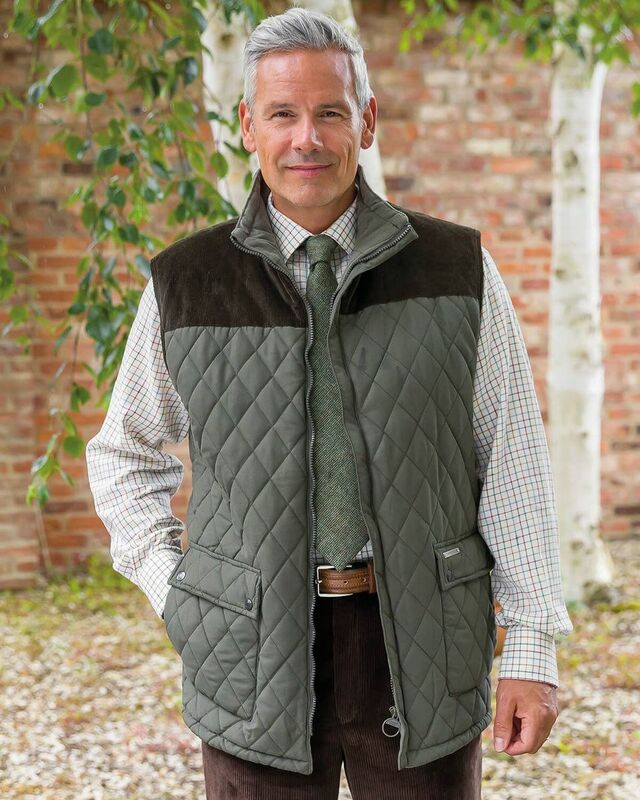 Mens Arundel Quilted Gilet. 100% Polyester. Gentle Machine Washable. A well made product,very warm too. Mens lightly quilted, zip front style with contrasting cord yoke. Studded front patch pockets and side back vents. Fully lined with fleece lining. "A well made product,very warm too. "